The making of Safe As Milk, the debut album of Captain Beefheart And His Magic Band, is a long and convoluted story, revealed at length elsewhere upon the Web and in written accounts. However, some rudimentary details are worth having here for those wishing to submit. Early US issues had red labels, followed by 'kaleidoscope' labels, then later black labels (under Arista). For some stereo issues a foil 'stereo' sticker was applied to mono sleeves. First inner liners had a photo-montage & loose sticker. The band recorded in the Spring of 1967 at Sunset Sound Studios, later for the finished work at RCA Studios, Hollywood, C.A., USA. Don Van Vliet, aka Captain Beefheart, publishing in his real name and performing by his alias. (Vocals, Harmonica & Bass Marimba). Alex Snouffer, aka Alex St. Clair, also known as Alexis St. Clare Snouffer. (Guitar). John French, aka John 'Drumbo' French or simply Drumbo. (Drums & Percussion). Ry Cooder (Guitar, Slide Guitar & Bass Guitar) [A subsequently disaffected member & not appearing in photos]. Taj Mahal (Percussion), Russ Titelman (Guitar), Milt Holland (Log Drums & Percussion), Dr. Samuel J. Hoffman aka Sam Hoffman (Theremin). Vliet wrote all of the songs, with the exception of Grown So Ugly, by Robert Pete Williams. Herb Bermann (Lancaster resident & soul-mate at the time) co-wrote the lyrics with Vliet on all songs - with the exception of the aforesaid and; Call On Me, I'm Glad and Abba Zaba. Jerry Handley co-wrote Plastic Factory with Vliet & Bermann. Cooder arranged Sure 'Nuff 'N Yes I Do & Ugly, Vliet arranged the remainder. At this time, in 1967, 'Kama Sutra' records had a distribution deal with MGM. Meanwhile a Verve 3000 series catalog was allocated for Beefheart (FTS 3054), but not used because Vliet had signed with Kama Sutra after failing to be picked up by A&M. To extricate from MGM, Kama Sutra had created Buddah Records late in 1967, headed by Neil Bogart. Thus, Vliet & the band were recording for Buddah, although signed to Kama Sutra and Kama Sutra is shown on international releases. Bob Krasnow and Richard Perry produced the sessions. Some engineering was done by future TMR bassist Gary Marker*, then Hank Cicalo at RCA. This is the first mono & stereo album on the Buddah label, later celebrated by the reissue on BMG's new-look & retitled Buddha in 1999. After "Safe As Milk" the band line-up was in flux. When they re-entered a recording studio in October 1967, for what was to be a double album "It Comes To You In A Plain Brown Wrapper", the project met various problems. 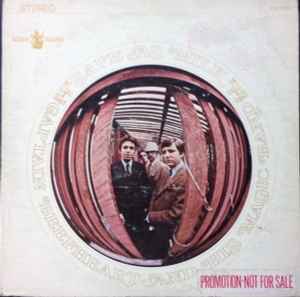 Tracks from sessions surfaced on Beefheart's 2nd "Strictly Personal" & 5th "Mirror Man" albums, among other releases. Consequently, some of the recordings from these sessions appear later, issued as 'bonus' tracks on "Safe As Milk" releases**. The album's working title was "Abba Zaba", after the American candy bar of Cardinet Candy Co., in a yellow/black checkered wrapper (hence the back cover design). See; Abba Zaba. However, the company vetoed use of the name and a title that was as 'safe as milk' was used. (A track titled "Safe As Milk" can be found on "Strictly Personal"). *Marker engineered at Sunset Sound, as he describes in the 'Grow Fins' set. **These are technically 'Compilation' releases, as indicated thereon by reissue distributors BMG [for example]. Being compiled by 3rd parties from 2 different recording sources and significantly remastered without control by the artists. Agree with all the others below, very bad sound quality, sounds like a bootleg. A worthy reissue to have, bringing out the best this rather low par recording has to offer. Kevins cut is lively with good instrument separation and spectrum extension. From low to high end it makes it all enjoyable, especially the low end which I think many will come to appreciate with this release. Bass wise this might be the best you can get this album with mega drive and punch on those tracks that are recorded to allow it like Where There's Woman. But I do wish there was some tighter selected bottom end on tracks like Zig Zag Wanderer. It might also be hindered somewhat by the shrill and distorted guitars, not allowing the listener to crank the volume enough before they become too loud. Nothing will probably ever remove the distortion in some tracks and this is no exception. But Im not sure I can critisize it for that fact. I also use a Stereo cart which might increase it in the separate channels so I digress for now. The vinyl too is quiet and lacks nearly any crackles and pops despite the color. And it does make for a rather fitting looking disc wouldnt you say? Can anyone chime in on how this pressing sounds? White vinyl tends to be noisier than other colors. Were all copies of this Sundazed reissue mono on white vinyl, like mine? Not sure why that detail is not included in the format specs. Really nice pressing, either way! This pressing is apparently a fold-down of the stereo mix. Can someone confirm ? Apparently, this is not the mono mix but a stereo fold-down. Anyone got feedback on this white vinyl pressing ? Im a little wary of coloured vinyl !